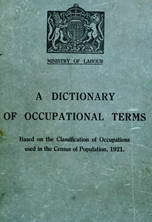 a porter (759) q.v. who uses and controls an electric truck in conveying goods, stores, etc., from one part of works, warehouse, etc., to another. general term for workers producing hydrogen for airships, including stokers (951), water gas operators (953), hydrogen bench attendants (148), engine tenters (950), purifier attendants (698), and valve men (698) q.v. see tube attendant (Post Office). renews tape-roll as required, tears off tape separate items of information and sends by messenger to appropriate news department of newspaper office, etc. ; in clubs, hotels, etc., pins sections of printed tape on notice board. receives carriers (containing bundles of telegrams or other documents) issuing from pneumatic tube, through which carriers travel from branch offices to head office or from one part of building to another; distributes them, by hand or through tube, to appropriate section despatches carriers through tube by pulling lever which produces pneumatic action necessary for setting carrier in motion down tube.